Dimensions: total height 79cm, height seat 35cm, width 82cm, depth 79cm, weight 18kg. (The pillows are at a charge). Since ever, the care to the details in all articles Siesta Exclusive is excellent, in the Rattan line this important target it is even more evident. From the undeniable charm and provided of design extremely refined, the MONACO LOUNGE armchair, is able to donate great elegance and exclusivity to your relax area. 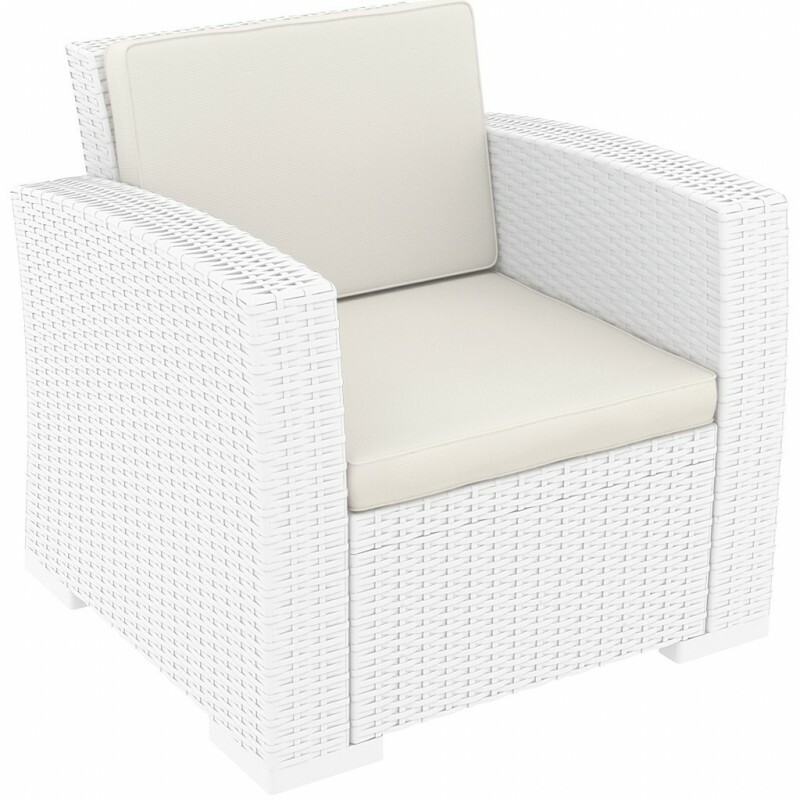 Built in ecorattan, it is extremely comfortable as well as having a significant visual impact, the best solution to furnish with class your outdoor space and more. Designed to ensure an easy mounting, (see video and assembly manual), it is made in resistant resin of polypropylene, reinforced with fiber glass without any metal parts. Be noted that this article is also equipped with treatment in defense of UV rays and protection against atmospheric agents. We recall also that this article may be eventually combined with the MONACO rectangular coffee table or the MONACO LOUNGE SOFA and MONACO LOUNGE SOFA XL. Articles visible below in the related products. ATTENTION: THE PRICE INDICATED DOES NOT INCLUDE THE PILLOWS (not binding for the purchase). If you want to buy them CLICK HERE.